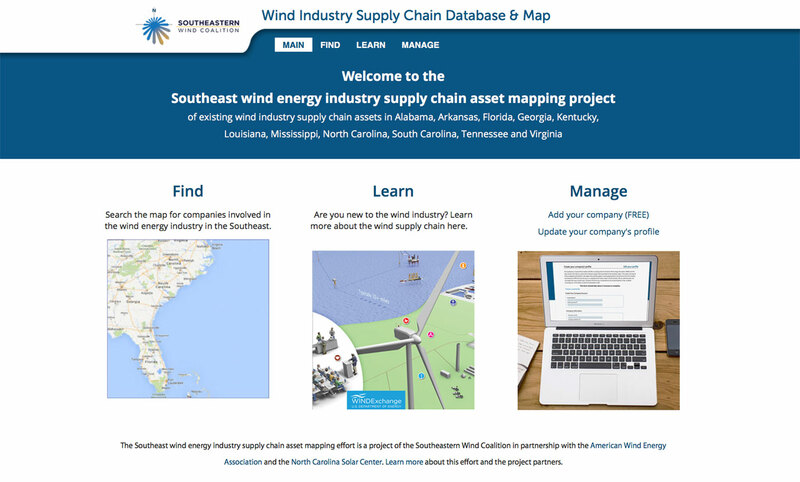 Rouviere Media designed and developed the Wind Industry Supply Chain Map and Database for the Southeast Wind Coalition in conjunction with developer Christopher Muro. 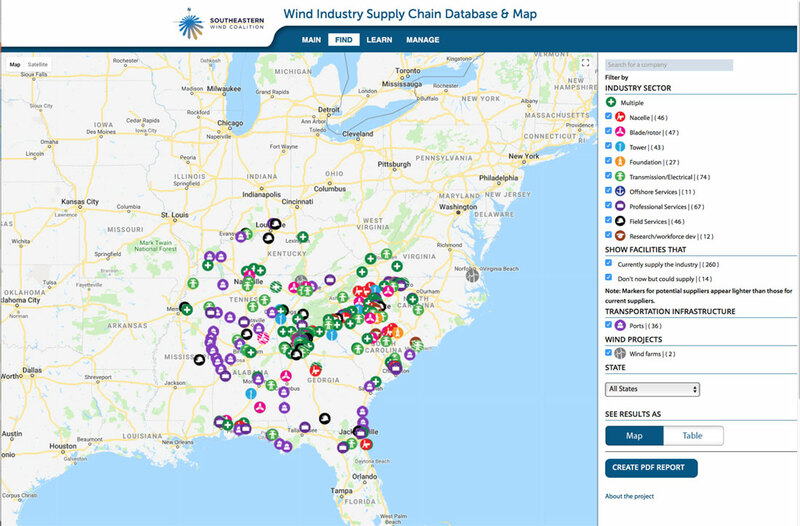 An interactive, filterable map that shows the location of companies and other organizations that service the wind energy industry in various ways. The map can be changed to a filterable table view that can be output as a PDF report of the companies with information about them. An educational infographic that shows the various economic sectors that make up the wind energy industry in the Southeastern United States. A form that wind industry members use to input information about the services they now provide or can provide for the wind industry. The map is responsive for desktops and tablets, although not for smart phones because it is too complex to scale down properly to phone size. 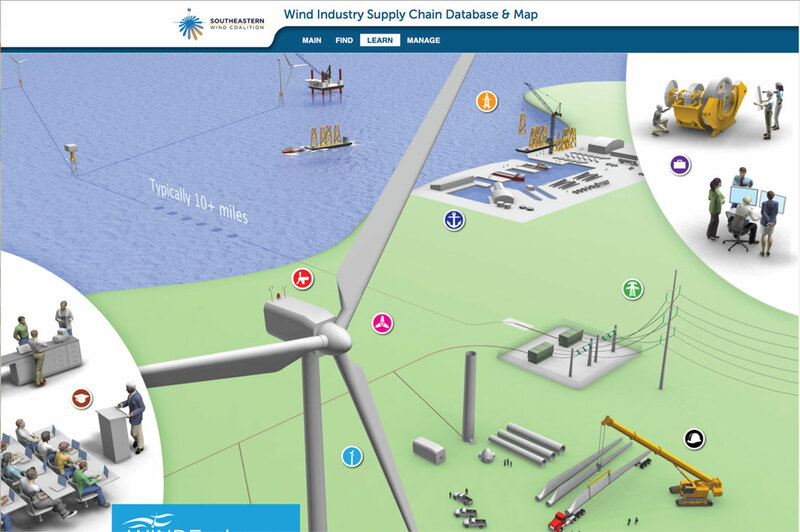 It is part of the larger Southeast Wind Coalition website which Rouviere Media also designed and developed.